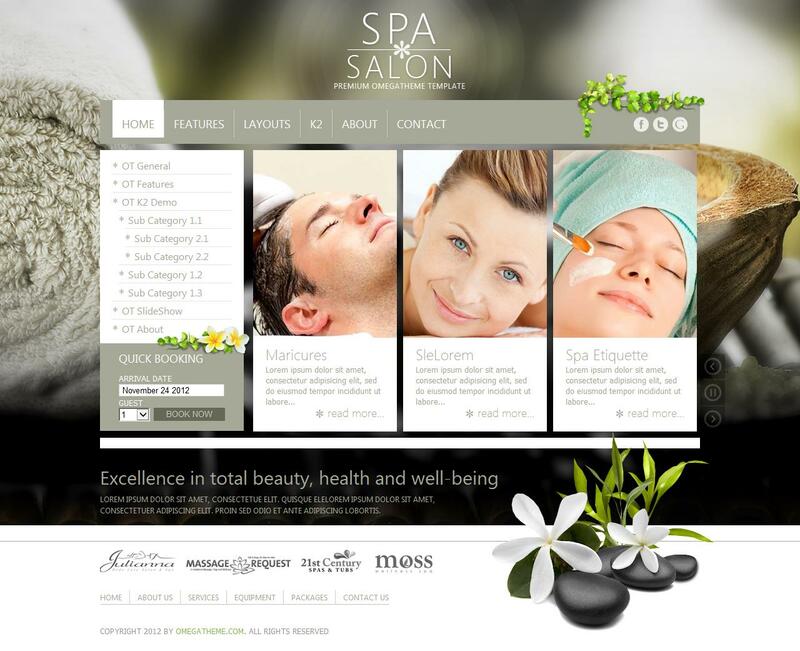 OT SpaSalon - elegant pattern on the theme of health and beauty of the design studio OmegaTheme. The template contains the light and elegant design that is perfect for creating a business card site. The presence of built-in support manager CMS K2, significantly increases the opportunities and potential template for the publication and posting materials on the site. Studio framework Solid Framework provides fast download speeds, excellent optimization and ease of customization of appearance. OT SpaSalon supports all modern browsers and screens of mobile and tablet devices.